This painting shows the interior of a pā located in Queen Charlotte Sound in the early 1780s. 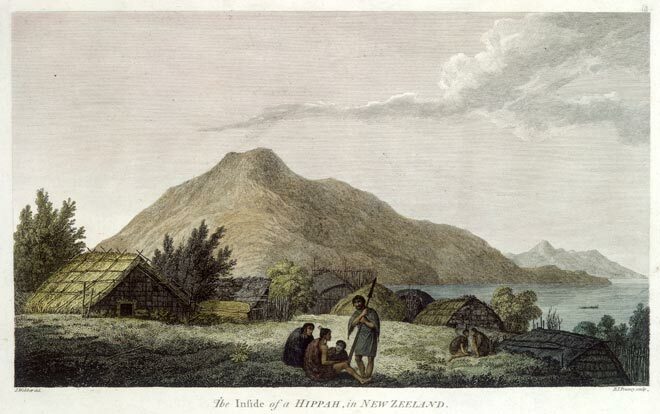 It shows the use of both timber and thatch in the construction of wharepuni (sleeping houses) and features buildings of different sizes. Larger dwellings often signalled higher social status; the one on the left may have been occupied by a chief and his family.